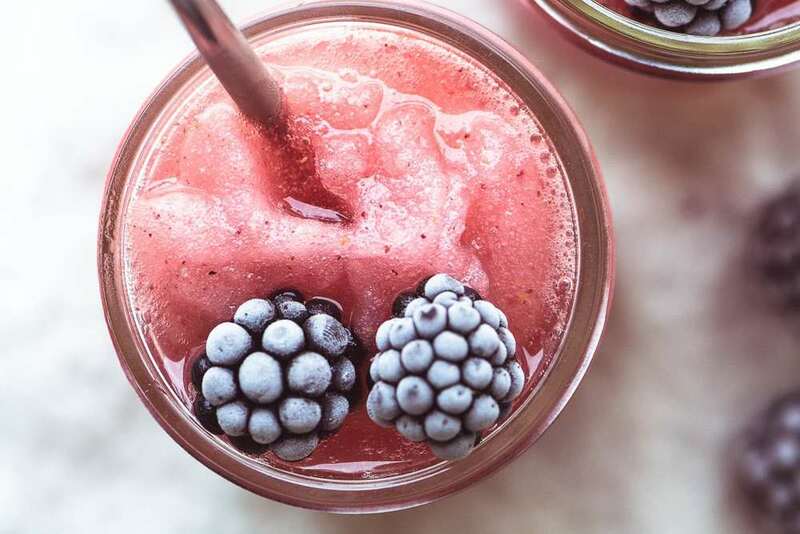 Blackberry Moscato Slushies ~ this easy white wine frozen cocktail is easy to blend and so refreshing. The cocktail hour just got a whole lot more fun! For Option 1 or 2 ~ put everything in the Vitamix blender and blend until smooth. Use the tamper if necessary. If it's too thick, add more wine, if it's too thin, add ice or frozen berries. Spoon into glasses and garnish with frozen berries.